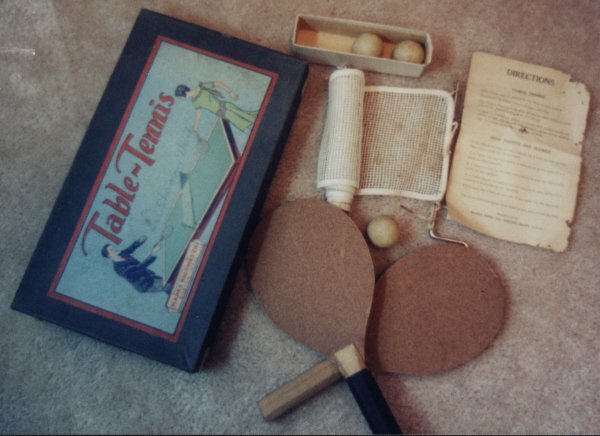 I had a very old table tennis set passed on to me that once belonged to my great uncle, Sherman Brooks. 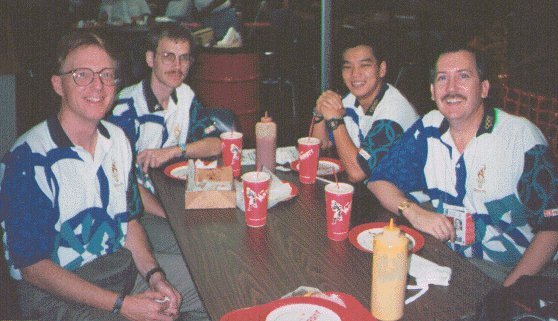 Here's a photo of the set which was manufactured by Marks Bros.; and another of the moth-eaten Directions sheet. 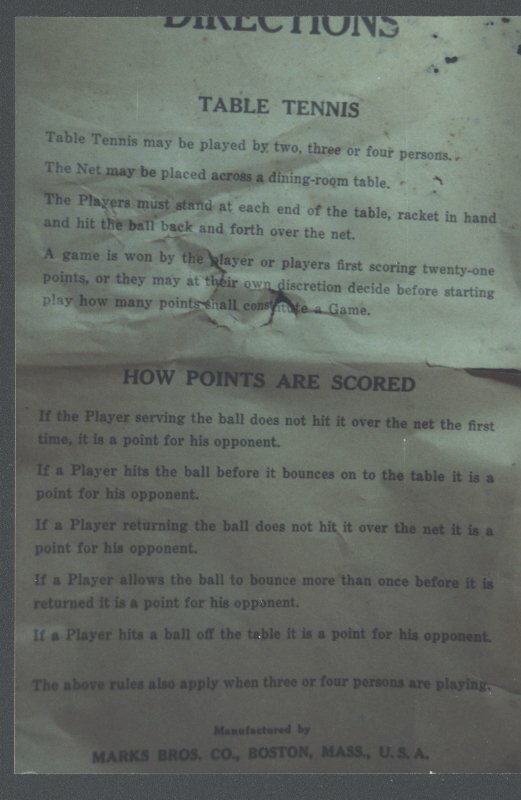 Another copy of this set can be viewed at The Table Tennis Museum under the 1920s-30s TT Sets section, picture number 6. 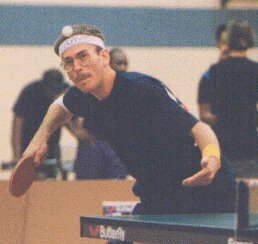 Here's a couple photos of me by reknowned table tennis photographer John Oros at the 2000 Decatur Open in Alabama. 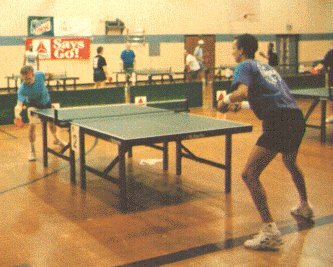 In the first I'm about to serve. 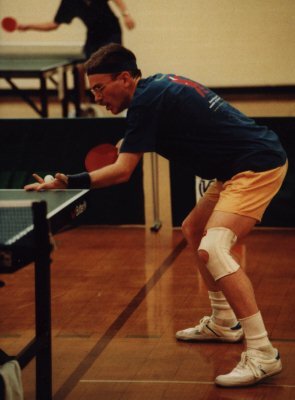 In the second I've just hit a vicious forehand; I'm sure it was for a winner. 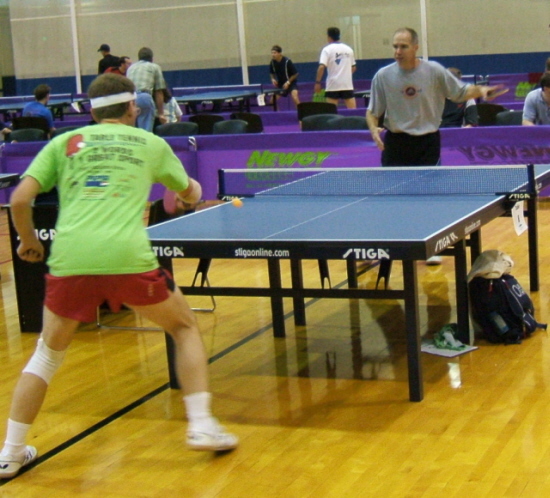 Note the "t" logo for my new company, Tpresence, Inc. Also note Table Tennis of New England's phone number on our sponsor banner in the background, that's 1-800-366-PONG ! 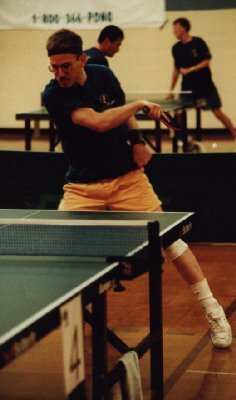 A couple photos for Table Tennis history buffs. 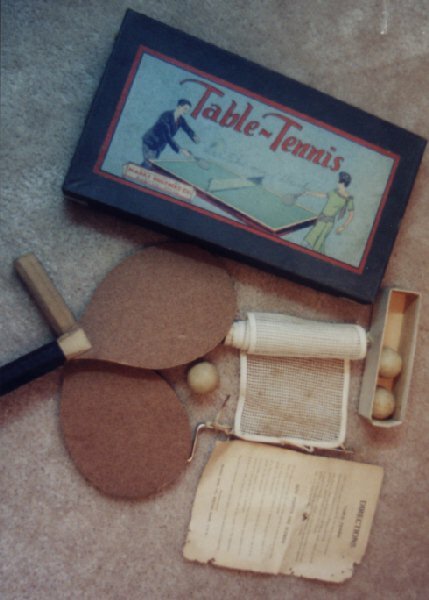 The first is the set manufactured by The Marks Brothers Co. It was my Great Uncle Lee Sherman Brooks' when he was a kid. I haven't found a date, could be 1930's or 40's? (Yes, that's sandpaper.) 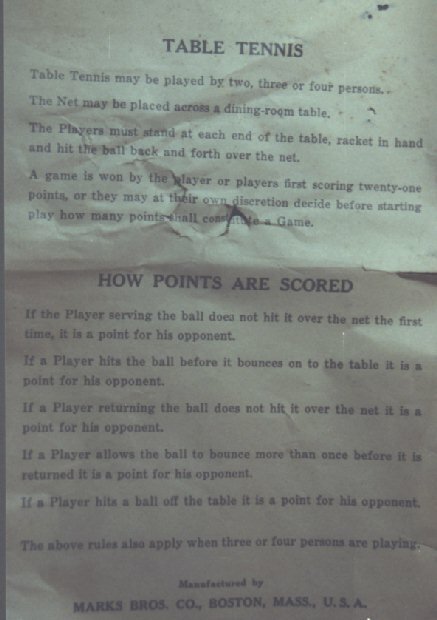 The second is a close up of the included directions for the set.